There are millions of Americans that own a gun, but there are far fewer people that can say that they own a breaching launcher. This is a 37mm launcher made by X Products. There are many regulations regarding grenade launchers and there are also two different types, a destructive device and a signaling device. The destructive device would shoot out grenades and shrapnel, things that could easily injure someone but the signaling device would shoot out smaller items, maybe some fireworks. 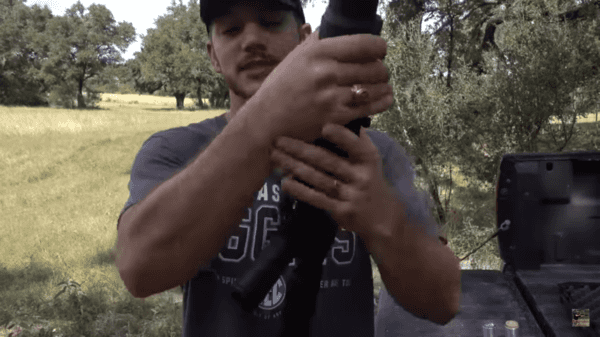 Since shooting a grenade launcher with potentially lethal objects is illegal without registration, the Youtuber from Demolition Ranch had to modify what was shot out of his breaching launcher, which is used as a signaling device. Instead of real grenades, he had to use “specialized grenades”, so the giant explosion that would come at the end of firing a real grenade wasn’t there, which disappointed him, but it was still very satisfying watching anything being shot from this breaching launcher. He simulates a make-believe scenario where he is surrounded by bad guys, all with AK-47’s and they are headed right at him. He is low on ammo and can’t shoot them all, so he finds another way to wipe them out and walk away unscathed, compliments of the grenade launcher. Now for the night-time version of the display. He loads and fires but not much more than a very cheap firework result. The kids were happy. The second one was a dud. Stay tuned for the educational segment of the video to be sure that you fully understand the difference between legal grenade launchers and felonies. Start with a simple evaluation, could this hurt someone or is it more for show? 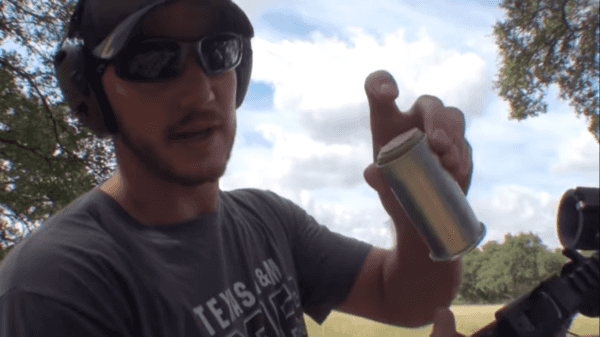 The Youtuber says that even putting rocks into the chamber is illegal since rocks could hurt someone. You must also be precise on how much powder you add because if you add too much, you have committed a felony. No nails, no shrapnel, no ammo at all can be used or it is, you guessed it, a felony.